We are a talented team of web developers located in Auckland, NZ. We love to build DNN CMS websites, Responsive Websites, Mobile apps, Custom websites, eCommerce websites and Facebook apps. We are also experts in Search Engine Optimisation (SEO) and offer a wide range of SEO Services which will ensure that the visibility of your website will increase in all the major search engines. 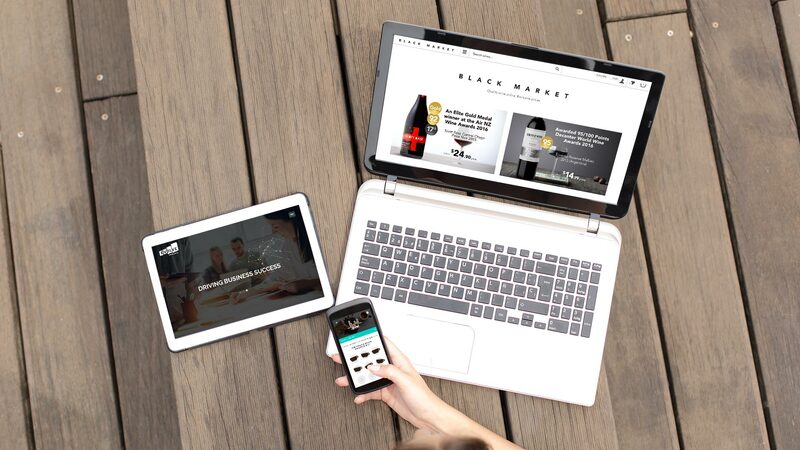 Accessible from anywhere, the websites we design and develop are ultra responsive and display amazingly on any device! Our friendly team would love to hear from you regarding your website design & web development requirements. Contact us today for a free consultation and quote. The coffee is on us! Established in 2003, and with staff who've been living and breathing websites and the Internet since the days of 14.4kbps modems, we're super experienced and passionate about what we do. You're in safe hands when you engage us to bring your project to life. We work with clients of all sizes, from one-man-band start-ups, through to small-medium business, large corporations, government organisations, and we particularly love working with businesses who are entirely online. I’ve been in the communications industry for 10 years and worked with several web development providers. NetPotential is the best provider that I have encountered. Not only was the rebuild so easy and well explained through all stages of the process, but we have also experienced a fourfold increase in sales since our re-launch.Well worth the investment.